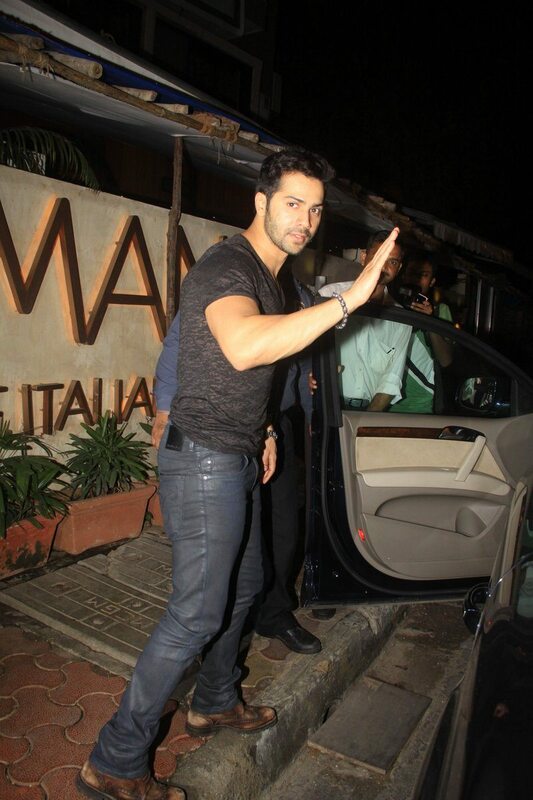 Varun Dhawan unwinds at Italian cafe in Mumbai. Bollywood heartthrob Varun Dhawan has had a hectic month with constant promotions for his upcoming movie ‘Humpty Sharma Ki Dulhaniya’. After returning from a promotional event, shutterbugs caught up with the young actor at Cafe Mangii in Mumbai on July 1, 2014. 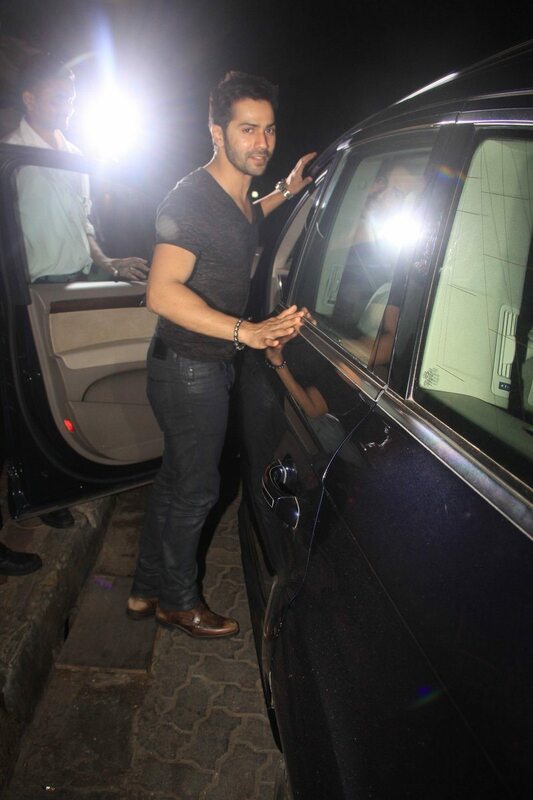 Jr. Dhawan was spotted wearing his much loved black attire. HSKD also stars actress Alia Bhatt and the two star kids have been on a promotional spree for the past month. The movie is directed by Shashank Khaitan and is produced by Karan Johar. The music for the movie has been composed by Sachin-Jigar and Sharib-Toshi while the lyrics have been penned by Kumaar.